Loopmasters & Hospital Records come together once again to bring an incredible collection of Royalty Free Drum & Bass samples produced by the insanely talented Dylan Martin AKA Royalston. Voltage Controlled Drum & Bass is powerful collection of raw gritty DnB designed for ultimate dance floor devastation featuring Driving Energetic Breaks, Deep Rolling Subs and Filthy Distorted Basses and a stunning collection of Atmospheric Pads and Music Loops plus a wealth of one shot and multi sampled instruments. His music is characterised by a raw, analogue sound with a tech-y edge (thanks to plenty of hardware like his favourite Korg MS-20) and he has released on labels such as Bad Taste and Black Acre before signing exclusively to Med School in 2012. In Detail expect to find 1.61Gb of 24 Bit 44.1Khz loops and sounds including 18 Analog Arpeggio Loops, 34 Bass Loops, 41 Drum Loops, 38 Hat Loops, 40 Modular Percussion Loops, 36 Music Loops, 44 Bass Hits, 13 Multi-sampled Bass Instruments, 8 Multi-sampled Synth Instruments, 55 SFX Shots, 255 Drum Hits, 227 Rex2 Files and 103 Soft Sampler Patches for Kontakt, Halion, Exs24, Nnxt and Sfz formats. 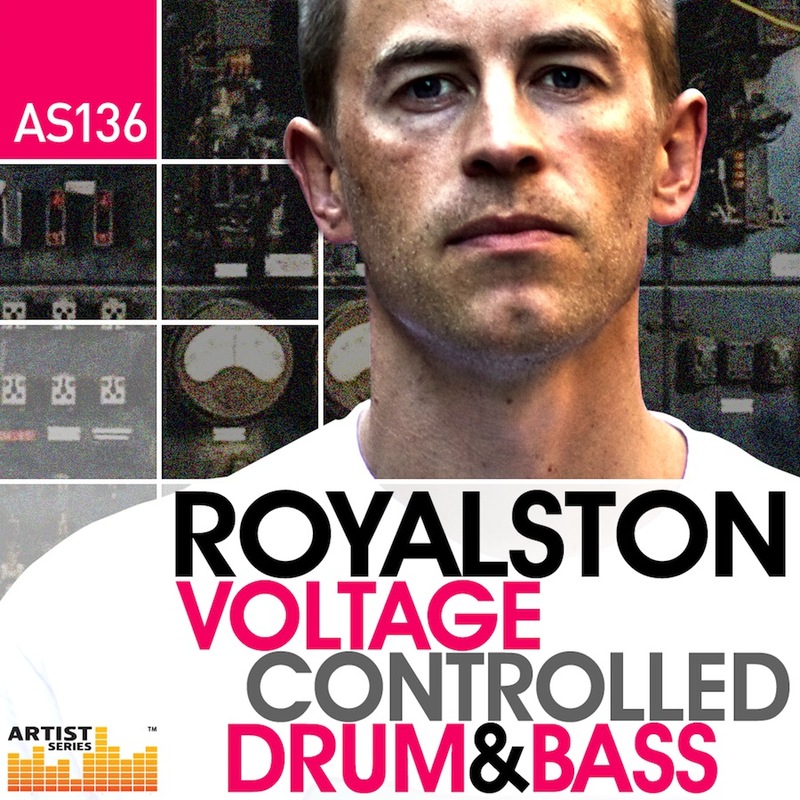 This collection should not be missed by DnB producers so make sure you check out the demo track and download the free to use taster samples and then get ready to sample Royalston – Voltage Controlled Drum & Bass Today!